Cradle Of Filth have confirmed they will start recording their new album next month. The British metal outfit’s 11th album has been given the working title Hammer Of The Witches and they say they’ll start recording sessions on November 24, after an October tour which starts in Russia. The band say on Facebook: “The tracklist for this decadent display of devilish misdemeanour is currently standing at the 15 song mark, under the premise that several tracks will be special edition bonus material. 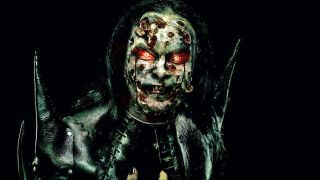 Frontman Dani Filth confirmed earlier this year that guitarist Paul Allender had left the band.